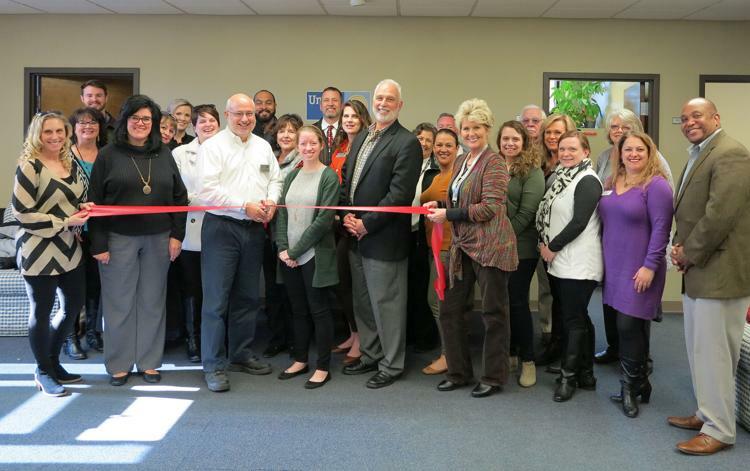 FLORENCE, S.C. – The United Way of Florence held a ribbon cutting on Tuesday celebrating its new membership with the Greater Florence Chamber of Commerce. Interim United Way President Keven Russell said he felt it was important for the nonprofit organization to support the community that it serves. “It is a great community of leaders, and we want to be a part of it,” he said. The United Way of Florence partners with 17 agencies that receive funding through its annual campaign. Their goal is to raise $1.2 million. Russell said they are about 40 to 50 percent of their goal. The funds go toward daily operations, and the United Way tries to get as much as possible into the hands of the agencies it partners with, said Rachel Baggett, director of marketing and initiatives. The United Way funds 24 programs, she said. The 2018-19 United Way partnering agencies are American Red Cross, Eastern S.C. Chapter; Boys & Girls Clubs of the Pee Dee Area; CARE House of the Pee Dee; The Chrysalis Center of Circle Park; Civil Air Patrol; Florence Area Literacy Council; Florence County Disabilities & Special Needs; Florence Family YMCA; Girl Scouts of Eastern South Carolina; Lighthouse Ministries; Mercy Medicine Free Clinic; Pee Dee Area Council Boy Scouts of America; Pee Dee Coalition Against Domestic and Sexual Assault; Pee Dee Speech & Hearing Center; The Salvation Army; Senior Citizens Association of Florence County; and Youth Mentors of the Pee Dee. The United Way of Florence has a staff of four. They are Russell; Baggett; Wendy Bird, vice president of campaigns; and Farris Lupo, operations, finance and volunteer director. Russell retired to South Carolina after 20 years with NASA and 20 years with GE. He joined the United Way Board of Directors as campaign leader before assuming the duties of president. He said he works with great people and has the pleasure of helping people every day.